Casting Director Alyssa Weisberg's chairback from Matt Reeves 2008 monster movie, Cloverfield. The chairback is made of black fabric and features the name "Alyssa Weisberg" on both sides in white stitched lettering. 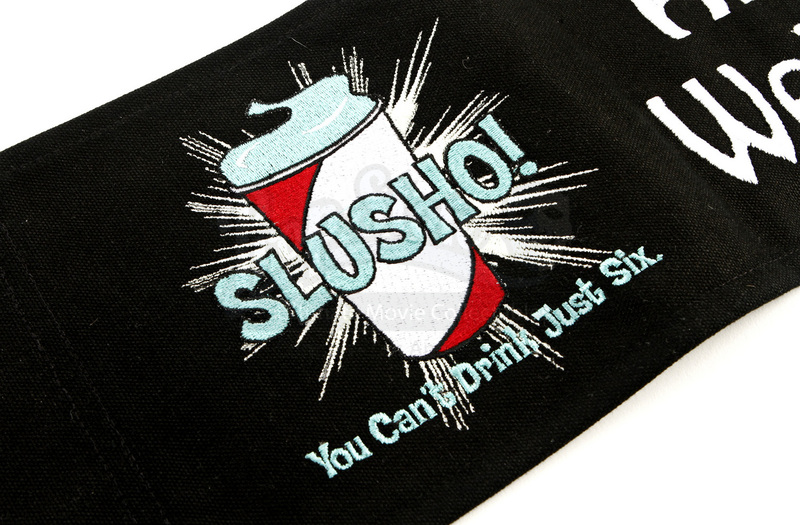 On one side is the logo for 'Slusho,' a fictional ice drink from the J.J. Abrams universe that was used as one of many code names for the film. This chairback measures 21” x 6.5” (53cm x 18cm) and is in good condition.